It's mystery day at Restore Cootes. 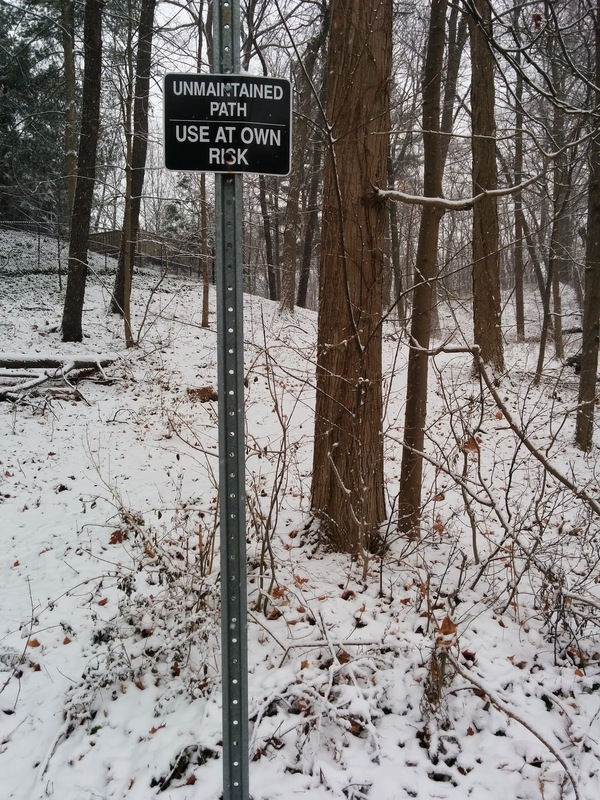 The longest almost intact surviving trail from the former Coldspring Valley Nature Sanctuary (now McMaster parking lots K, M, N, O, P) was the shortest trail in the system: Maria's Walk. 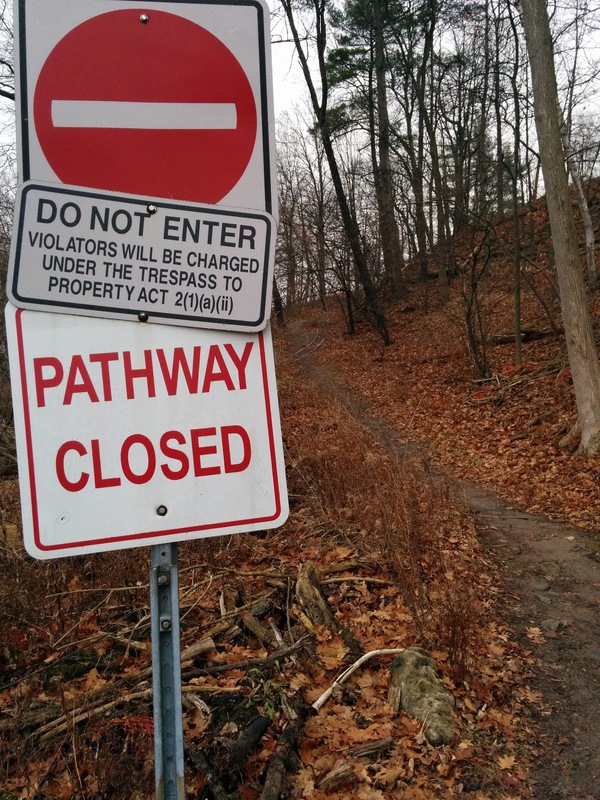 From the trailhead at Thorndale Crescent, Maria's walk is today only interrupted by roads built in the late 1960s to service the then new parking lots being constructed on top of the floodplain. 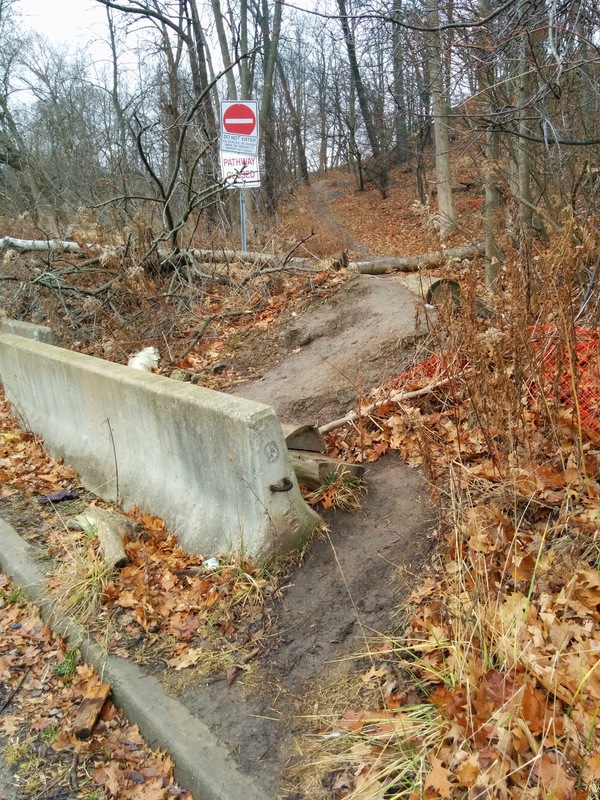 It is a lovely trail that for some reason McMaster has attempted to block access. People of course know a good trail when they see one, and continue to flow around barriers erected by the university to make the short hike between the campus and the parking lot. The only other trail remnant is the trail from Lakelet Vale to the parking lot at Campus Services. It has a warning sign. Original trail remnant Lakelet Vale path, use at own risk. Could the university not give Maria's walk the same treatment? But getting back to the mystery: who was Maria? Got any ideas? Share clues or answers in the comments section below! Thanks Sherlock! Why not "Use at own risk"? It was/is a great historical trail. Maria's Path could be named after Marx Binkley's mother Maria Marx. Marx purchased land in Ancaster Township, Wentworth County in the 1790's and was buried in 1805 in the Marx Binkley / Binkley Hollow Cemetery on Lakelet Drive. His grandson Henry started the Henry Binkley cemetery now on Desjardins Ave. in the University Gardens Survey on the Dundas side of Coldspring Valley. The Binkley family was also commemorated by Binkley Union Church (now Binkley United Church), Binkley School (now Binkley Hall Student Residence), Binkley Cres., Binkley Rd., and the Binkley Trestle Bridge where the TH&B railway crossed Binkley's Hollow (now part of the Rail Trail and renamed Powers Crossing). That's an interesting link, thanks for suggesting it. 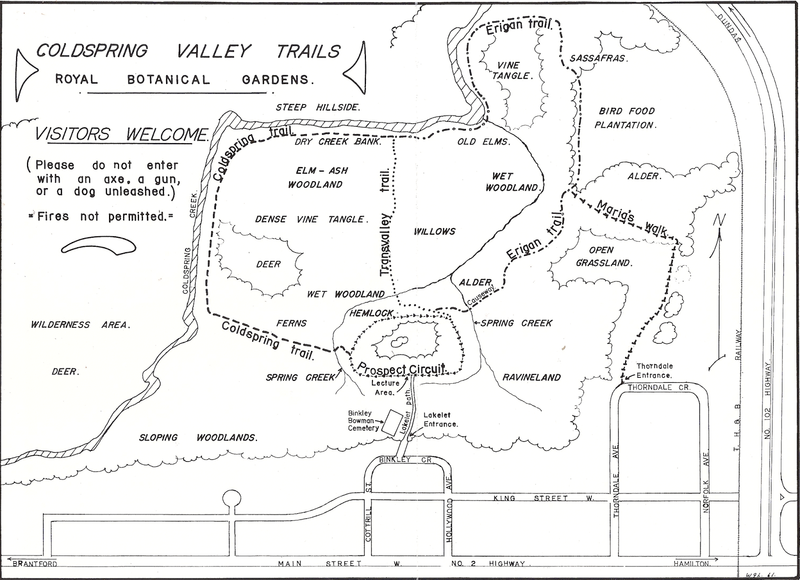 I'm going to see if the folks at the Royal Botanical Garden's can shed any light on the naming, since the trails were developed in the late 1950s. Thank you for contributing, I really like the idea that it was named after someone in the family that sold the land to the RBG in 1944.